While I’ve always been a fan of Adventures (the first game I played on a Personal Computer was of course „The secret of Monkey Island“) I did not really have a chance to incorporate that into my studies. 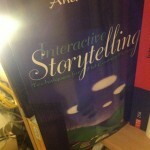 Well, but telling stories is of course an essential goal of computer games and it was only a matter of time until I would have the opportunity to research this whole subject a little closer. 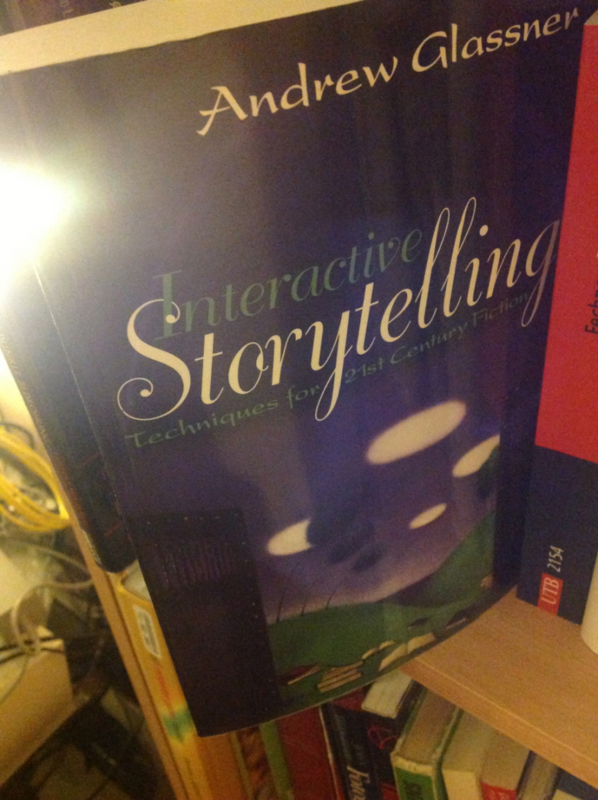 For the last month I prepared a presentation that I held yesterday mainly based on the book „Interactive Storytelling“ by Andrew Glassner and a handful of other interesting sources about storytelling and its latest modifications concerning interactivity. Glassner suggested some really interesting facts about the future of storytelling games. His examples (I think he gave essentially three in his book) are a kind of combination of MMORPGs, adventures and simulators. For example he describes the idea of spaceships fleeing from the earth which is to be destroyed. Upon those ships which have been built in a very quick-and-dirty way out of spare parts and without any professional engineering skills (or at least not with the best) we find the last humans who were chosen by skill and profession to go to the planet Mars where they should settle down and create the new home planet for humanity. While you can do many different things on the ship such as keeping the machinery up and running, solving certain social conflicts or even simply flying the spaceship it should still be a game that tells a story. I can imagine that very well and I guess it wouldn’t be so hard to produce a game like that. But it’s probably a lot of work to come up with a world as completely functional and interactive as Glassner describes it, put it into a technical environment like those of a typical MMORPG and also produce it in a way that tells an interesting story. I mean it is of course an interesting back story which creates a unique situation to become part of. But it’s also a lot of interactivity to create and as Glassner himself (and many other essays I read) continues to point out the more interactivity you want to implement the more opportunities you take away from the author(s) to tell an interesting story. In the end whoever wants to make the game will need to focus on some aspects and then discard some of the other ideas to produce a product that you can still earn money with (which is essentially a third goal most games need to have nowadays). So the problem might not only be the anti-proportional behaviour of interactivity and story but even the disturbing effect of the economic barriers. This is actually a part of the system Glassner does not even mention in his book (if he actually did I must have missed that part).